Running a business requires a lot of responsibility. You must adhere to all laws and regulations, hire and manage employees, pay business taxes, and make decisions that keep you profitable. You can’t be expected to manage all these things on your own — nor should you attempt to do so. In most cases, hiring an expert to handle certain aspects of your business can help you to become successful. Deductions reduce the amount of taxes you ultimately have to pay, either by deducting the amount from your tax bill or deducting it from your taxable income. Depending on the type of business you operate and your actions, you could qualify for hundreds or even thousands of deductions. 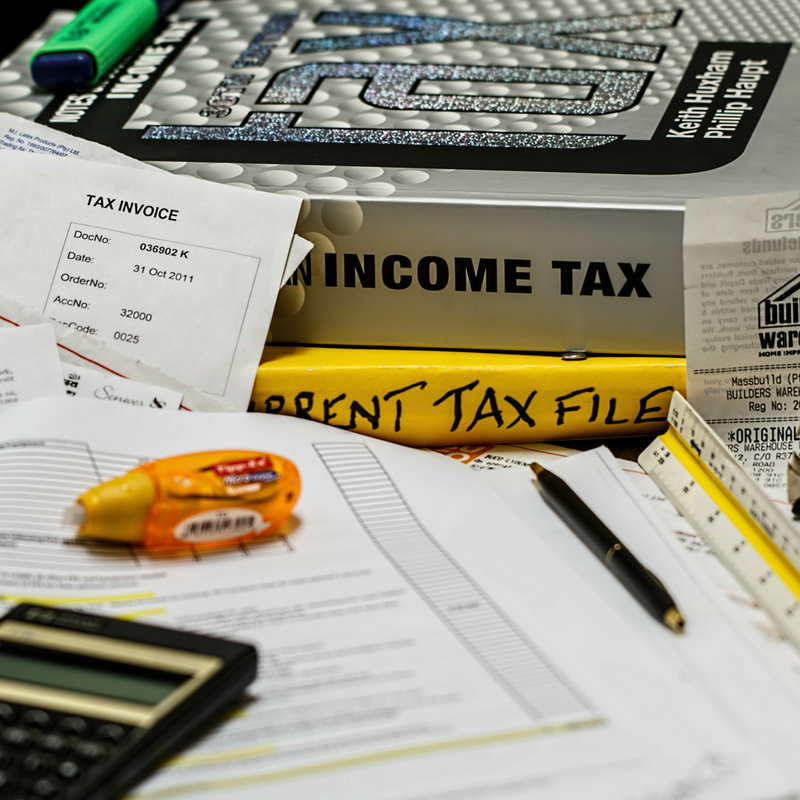 Unless you trained as a tax professional at some point, there’s no way that you can know all of the deductions that are available, and any deductions you don’t take are costing you money. Deductions are available for certain business purchases, charitable donations, and more. By hiring a tax professional, you can be sure that you are taking every allowable deduction for your business and saving as much as you can. Depending on the size of your business, that could be a few hundred dollars in savings, or it could be millions. Tax credits are not the same as deductions. Instead of reducing the tax you owe or your taxable income, credits apply a positive amount to your tax obligation. For example, a $2,500 credit would take that amount off what you owe. If you paid in the money already through your estimated tax filings, you would get a $2,500 return. Credits are available for all kinds of things, including environmentally friendly business actions or purchases or even for hiring certain employees. When you work with a tax professional, you can learn what tax credits you can include on your current filing and get advice about actions you can take to qualify for additional credits in the future. If you are a small business owner, your knowledge of your tax obligations is likely lacking. Even people who have been in business for years can be making huge blunders because they have never consulted with a tax professional and they haven’t been caught for their mistakes by the IRS. There are many things you may not be reporting what you should, and that can cost you dearly, both in terms of the fines and penalties you will have to pay but also potentially in terms of criminal consequences. A tax professional can ensure that you are reporting all income and other items that you are required to report. The tax code is always being changed, and that affects both businesses and individuals. If even one law changes, it can change what you have to report, what deductions you can get, or what credits you can claim. Unless you spend a great deal of time studying politics and the tax code, you are unlikely to know when these laws change or how they impact you. It is a tax professional’s job to know about all the changes in the law and how they impact your bottom line. When you hire a tax professional to do your business taxes, you ensure that you are always getting up-to-date advice about your tax obligations and your opportunities for deductions and credits. Stay out of trouble and keep your tax obligation to a minimum by hiring a professional to handle your business taxes. You’ll also save a lot of time that you would have spent researching tax law and putting together your tax documents. Your time is money. 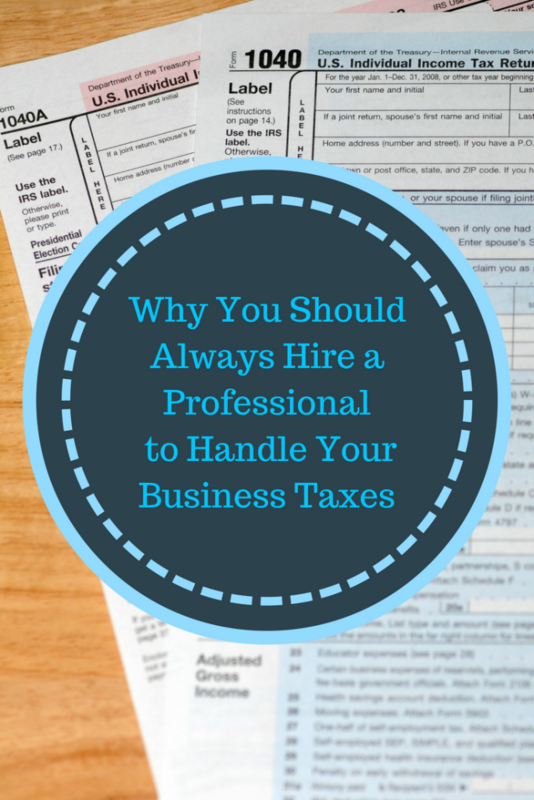 By hiring a tax professional, you can spend more of your time on expanding your company and making it successful. I totally agree to this! Aside from the extra load lifted off our shoulders, we save ourselves more time by letting them handle all the things tax related when it comes to our business. I’m totally thankful for these professionals who got our backs when it comes to this, because to be honest, I know next to nothing about taxes. That’s why i’m thankful for these people. And oh plus the transparency!